Description: Copper colour, hazy, small white head. Light tropical hop smell, a little malt. Taste to follow, plus grapefruit bitterness. A little earthy. 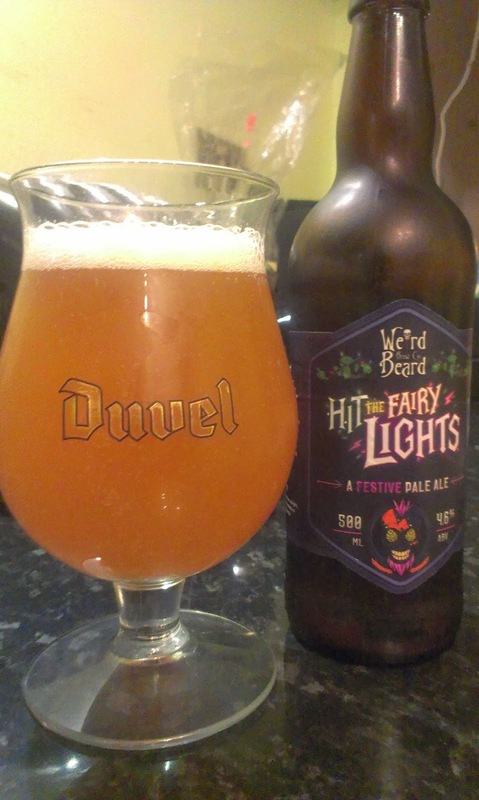 Light boded though a slightly slick mouth feel. Thoughts: Didn't do much for me (though it's not bad) more bitter than citrus. I wouldn't turn it down but I wouldn't seek it out either. Description: Hazy and light amber. Small white head that dissipated quickly. Floral hop and a little biscuity malt in aroma. Similar taste, with a little orange bitterness to it. Moderate bitterness overall, light to medium body. Description: Light straw colour. Decent white head. Smells light and a little flowery (brewed with elderflowers apparently). 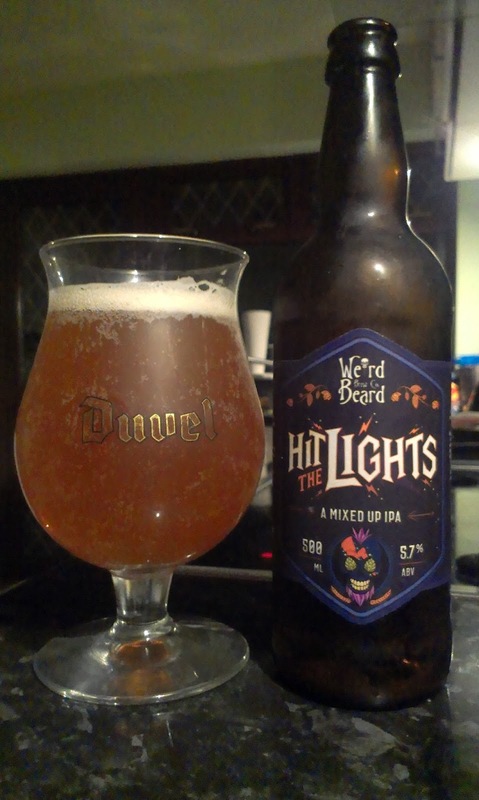 Refreshing and light drinking, a little hops and a little sweetness. Light bodied, decent fizz. Thoughts:This reminded me a bit of a helles - light and fairly quaffable, would go down a treat at a BBQ. Description: Straw coloured and clear. Small white head. Not much aroma, some citrus. Light. Easy drinking. A little sticky. A little bitterness. Thoughts: Grand - but nothing I'd go out of my way to get - was expecting more umph from the Nelson Sauvin Hops! Description: Black with a decent tan head. Aroma is huge choc. Tastes of powdered hot choc (perfectly called by Darren at LightHouse Wines) rather than the good bitter dark choc I was expecting. Chilli brings heat on he finish. Thinner than I was expecting. Thoughts: Probably the most interesting beer on this list, and the one I'd say to try out of them all. It kinda has all the elements, but just hasn't been balanced and evened out. I could take darker, more bitter chocolate, and less chilli heat. 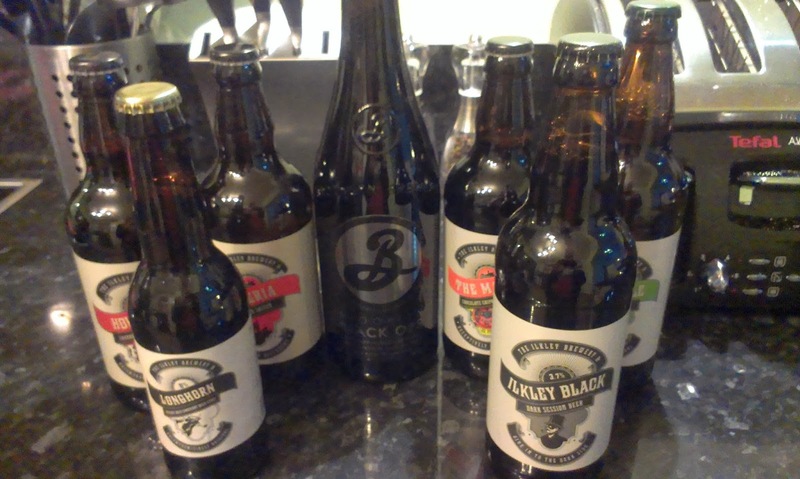 I also picked up a bottle of Brooklyn Black Ops from Lighthouse wines, not cheap but i'm saving it for a special occasion (one beyond the fact that it's a Friday night).